I have mentioned before that I am not the most artistic and creative Mom so I definitely need inspiration when it comes to craft time with my children! My latest craft inspiration has come from WummelBox and my son is loving the great crafts and projects we have been able to do with their great ideas and supplies that we received in our WummelBox. Straight from the heart of Berlin – the ultimate hub of creativity and style – comes Wummelbox, a subscription arts & crafts service just for kids age 3-8. Each high-quality Wummelbox contains 3-4 themed-based projects (i.e., “Nutrition,” “Music,” or “Color and Light”) and is designed to inspire children to learn and explore the world around them. Each Wummelbox contains everything needed to immediately begin crafting, and all items meet the highest European and US standards for toys. My favorite part about WummelBox is that the high-quality materials in the sets are eco-friendly! Each box includes materials like cork, sand and reforested wood. Even the box is re-useable, becoming a part of each craft! Each craft is designed to be used not once but over and over again (e.g. a car, a cashbox, a windchime, etc.)! The WummelBox that we received this month had a Time Travel theme and it had craft ideas like Stone Age Stories, Time Machine and Cave Art. 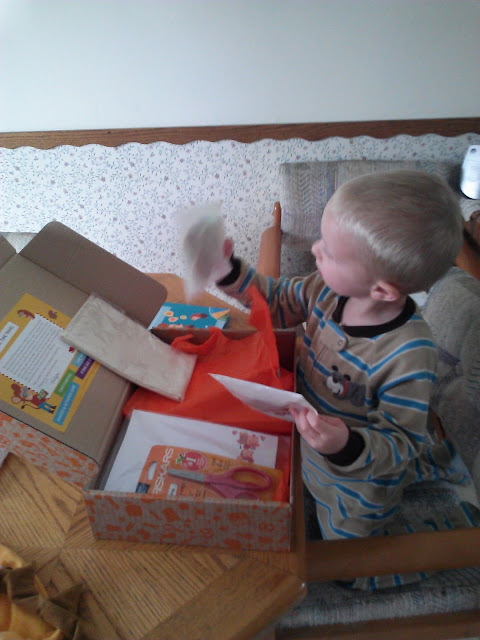 My son immediately dove in and wanted to see all the supplies and craft ideas included in the box! It included great items that can be used over and over: scissors, stamps, paint and so much more! Plus, there was individual instructions for each craft idea to help parents and children get creative! 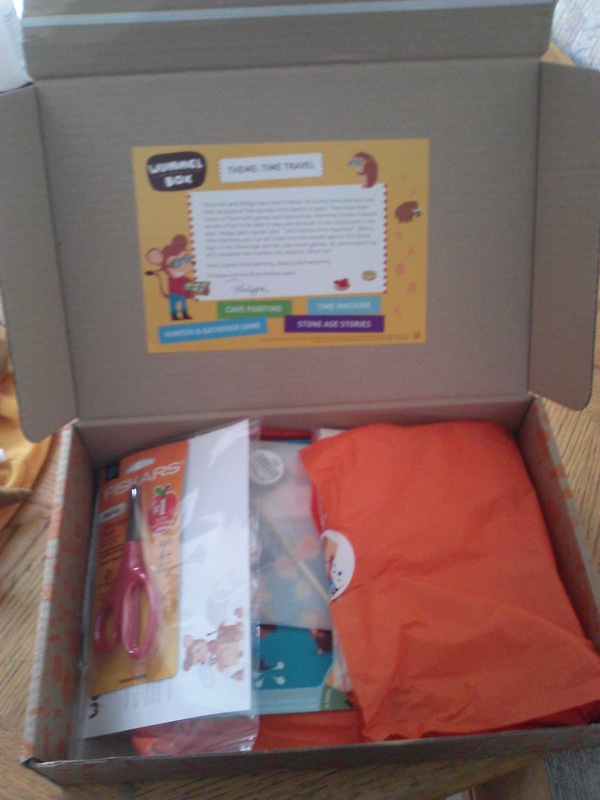 This kit included everything we needed to make fun Time Travel craft ideas and my son asks to do them everyday! If you need inspiration at craft time with your kids, get the eco-friendly WummelBox and make craft time a time that both you AND your children look forward to! Buy It: You can purchase the WummelBox for $34.95 (one time box) or as low as $19.95/month (for 1 year subscription) from the WummelBox website.